So you get yourself an app phone, like the iPhone or some Android thing. Buy the DishPointer app so you can figure what satellite you can see. What then, rocket scientist? 1 compass that has degree markings zero to 360. and a sighting glass. 1 childs protractor. Mine was same size as a computer CD. Lucky me. 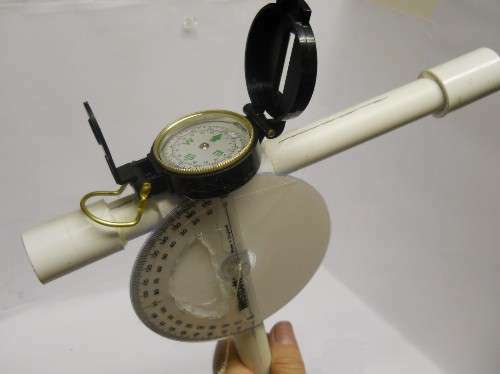 1 half-inch plastic PVC pipe. cut into 3 pieces. Length is not real critical. I used a piece 12 inches long, another one 6.5 inches, and a third one about 1.5 inches. 5 or 6 inches of solder to wrap around the cotter pin. a piece of sandpaper to sand off the lettering on the pvc pipes. Then go to Lyngsat and find your free-to-air channels. Good luck trying to shut down the Internet in Egypt. You can’t close off the satcom links — especially Thuraya, Iridium, Globalstar or Inmarsat satellite phones. Although the Internet remains locked down in Egypt, Al-Najjar has been participating in the lively stream of posts on Twitter using the hashtags #Jan25 and #Egypt. Some of those postings suggest the use of satellite Internet services offered by companies such as Thuraya, Iridium and Inmarsat. "While in conversation last night, two guys said that they will have the ability to buy one of those phones and transmit," Al-Najjar said. "They were given 18 [phone] numbers outside Egypt to send [photos] to." Foreign media posted in Cairo published dramatic photos on Friday of protestors battling police firing tear gas and using water cannons to disperse crowds. But absent Internet or mobile phone access, it’s much more difficult for most Egyptians to self-publish, an act that has become an increasingly important component of breaking news coverage. Satellite Internet services aren’t cheap, however, compared to wired Internet access. Al-Najjar said a satellite-capable phone could cost around US$1,300 in Egypt. A Thuraya customer service representative said on Friday there were no issues with its service in Egypt, but she did not know if there was an uptick in traffic coming from the country. Satellite services are not dependent on local carriers for connectivity. So someone in Egypt, for example, could snap a photo of the protests and upload it to a computer connected to a BGAN satellite modem. As long as the person has aimed the portable modem properly at the satellite, the person should have broadband Internet access, said a sales representative based in South Africa for GlobalCom, which sells portable Internet access for Iridium, Thuraya, Inmarsat and Globalstar Satellite. Who started this mass protest stuff? The Ukrainians with their Orange Revolution! Orbital Sciences signs systems integration and test contract with Thales Alenia Space, prime contractor for Iridium NEXT. Avanti wins two new contracts to further develop and demonstrate technology to deliver fideo to the edge of terrestrial networks using its HYLAS 1 satellite. Boeing successfully conducts first over-the-air ground test of Ka-band satellite communications phased-array antenna system for enabling wideband SATCOM on aircraft. Russian unmanned cargo spacecraft lifts off, bound for international space station. DigitalGlobe collaborates with Satellite Sentinel Project to deliver first images of evolving situation in Sudan following historic vote on independence. Ziplink announces that OmniGlobe has deployed its advanced optimization technology to reduce bandwidth requirements while improving customer’s satellite broadband performance. MSCI’s announcement of 78+ satellite constellation "COMMStellation" of 12Gb per satellite for global broadband reminiscent of ambitious LEO plans of the past – is the plan justified by the numbers? LightSquared ambitious plan for nationwide terrestrial/satellite LTE mobile network gets] boost with FCC decision to allow use of handsets that are not satellite-capable. ViaSat is awarded first Defense Security Service Award of Excellence in Counterintelligence. Japanese unmanned robot cargo ship arrives at international space station. International Datacasting receives contract from Canadian Department of National Defence for continued operation of Canadian Forces Radio and Television. Russian astronomers predict slim possibility of Earth strike by asteroid Apophis on April 13, 2036. Tesacom receives Iridium certification for maritime satellite communication and tracking system. Orange Business Services to provide and manage a VSAT satellite system developed for marine communications for the diving support vessels of Crest Subsea. Air Force awards Raytheon and Lockheed Martin contracts to provide designs for new "Space Fence" radar system that can detect much smaller satellites and debris than present system. KVH promotion offers free small screen HDTV to boat owners purchasing certain marine satellite HDTV systems. Russian space experts point to gross underfunding of space programs and advocate teaming up with India and Kazakhstan. Sirius XM asks FCC to end its subscription price cap. US Air Force Academy’s FalconSAT-3 satellite provides unique joint service with United States Military Academy at West Point, New York. Blue Sky Network introduces HawkEye 5300, a dual-mode asset tracking device using both GSM and Iridium satellites for 100% global coverage. TVN signs with Teracom to supply headend technology for Sweden’s roll-out of DVB-T2 scheduled for the end of 2012. ITT announces successful completion of environmental tests of the next-gen weather satellite instrument for the GOES-R program. Iridium signs partner agreements with five new companies including KORE Telematics. Shaanxi Broadcast & TV Network Intermediary Company begins trials of Irdeto’s Cloaked CA, a conditional access system to be part of transitioning two million subscribers from analog to digital services. SES WORLD SKIES announces order from Artel under U.S. FCSA program to provide C-band capacity in support of government initiatives. 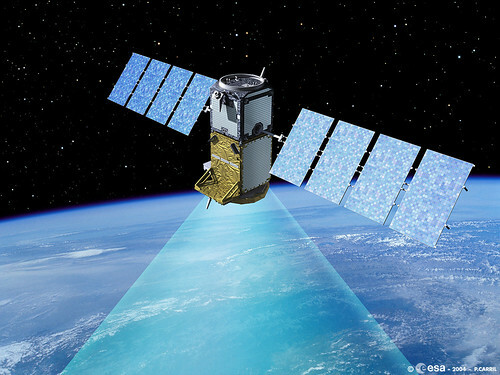 Economics of Earth Observation market distorted by reliance on a few large users – government and military organizations. New MST-100M man-pack satellite terminal from Agile Communications features fully motorized platform with auto-acquisition. LightSquared CEO Sanjiv Ahuja attempts to reassure authorities that modification of its license to allow terrestrial as well as satellite offerings will not interfere with GPS services. Orbit wins US follow-on order worth $7.2m to install dozens of its OrSat Ku-band systems on the undisclosed customer’s fleet of ships. Iridium to establish maritime service centers to support Iridium OpenPort products worldwide. NASA announces contest for best images of currently orbiting NanoSail-D solar sail. Lockheed Martin plans to increase affordability and efficiency of space system development with new advanced technology and virtual simulation facility, Collaborative Human Immersive Laboratory. Broadpoint signs new contracts with global shipping company V.Ships Offshore to provide Ku- and C-band services for the company’s worldwide operations. Non-profit Space Data Association announces offering of conjunction assessment processing to a majority of all operational geosynchronous satellites. Airborne is awarded contracts for solar array panels for first 14 satellites of the Galileo program. Surrey Satellite Technology Limited to conduct an experiment, launching a smartphone into orbit to see what it is capable of. Hughes Communications dominant stakeholder Apollo appoints Barclays Capital to begin sales process. Global Navigation Satellite System industry faces challenges in using multiple systems interchangeably as number of satellites is projected to far exceed the "optimal intersection" of 70 postulated by head of Galileo Operations and Evolution department of ESA. Zenit-3SB rocket launches Elektro-L1 meteorological satellite from Baikonur space center in Kazakhstan. Azerbaijan experts from Ministry of Communications and Information Technologies travel to U.S. to discuss development of its first national satellite. EUMETSAT now delivering globally direct readout of data from instruments on board its Metop polar-orbiting satellite via the Advance High Resolution Picture Transmission system. Indian Air Force to get dedicated communication satellite this year. Satellite Broadband Ireland inks over EUR 5 million utility deal with Eutelsat. SatCom Group changes its name to One Horizon Group. ATCi answers demand for disaster recovery services voiced at Pacific Telecommunications Council Conference in Hawaii January 15-17, 2011. 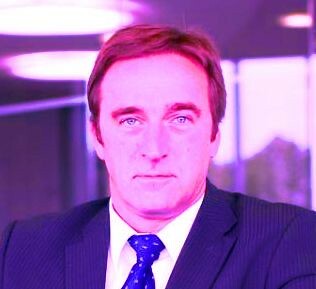 Avanti UK wins key broadband satellite testbed contract from UK’s Technology Strategy Board. International Communications Group Datalink-100 Receives Iridium Certification & ARINC AQP Approval. Space Florida gets $48 million launch contract to provide launch services for federal government. United Launch Alliance DeltaIV Heavy rocket lifts off from Vandenberg Space Launch Complex with payload for the National Reconnaissance Office. TanMar Communications, a provider of communication solutions to the oil and gas and maritime industries and government agencies deploys Spacenet satellite equipment and services. Norsat acquires military antenna developer Sinclair Technologies for $19.2 million. Broadband satellite communications company Hughes Communications looking for new owner. Arinc completes Air Force space weather sensor upgrade at 29 locations of the Ionospheric Data Network. Microsat Systems Canada announces development of COMMStellation, a polar communications satellite constellation of 78 microsatellites. NASA to unveil new rocket integration and launch facility at Wallops Flight Facility in Virginia. Worldwide Satellite Telecommunications Industry report published by Barnes Reports features 2010 current and 2011 forecast estimates on size of industry for 47 largest countries in world. A communications cross-link between missile defense satellites tested successfully after activation by U.S. companies Northrop Grumman and Raytheon. NanoSail-D nanosatellite successfully ejected from Fast Affordable Scientific and Technology Satellite – ham operators asked to listen for signals and report. GMPCS joins with Global Marie to deploy Speedmail, a fast, reliable and easy-to-use satellite phone email service. FCC authorizes Sirius Radio to temporarily establish 2,000-watt transmitter in Hawaii. OmniAccess S.L. launches BroadBEAM Ultra, latest addition to its maritime VSAT broadband services, based on iDirect’s next generation DVB-S2 Evolution platform. Integral Systems’ SATCOM Solutions Division General Manager To Discuss Naval Maritime Satellite Communications Requirements At The 2011 Naval And Maritime SATCOM Workshop. Stratos Global reaches mileston of 2,000 IsatPhone Pro activations. WTA releases new white paper "How to Buy Satellite Capacity." Hughes Network Systems ships more than 327,000 broadband satellite terminals in 2010, the most ever in one year. Berry Smnutny, chief executive of Germany’s largest satellite company OHB-System, suspended for criticizing the E. U. Galileo satellite project. U.S.A.F. 50th Space Wing completes phase on of two phase Global Positioning System constellation expansion. Iridium signs agreements with 17 service partners to participate in the company’s Network Quality Guarantee program. T-HT of Croatia selects Eutelsat satellite neighborhood at 16 degrees East to extend reach of its MAXtv pay-TV platform to homes across Croatia. RRsat selected to distribute BabyTV to North America. Hughes ships its 2.5 millionth broadband satellite terminal. Indian Space Research Organisation plans three major satellite launches in first quarter of 2011. SES ASTRA expands further into Central and Eastern European market, with three transponders to be used by Bulgarian DTH operator Satellite BG. COM DEV of Canada is awarded US$9 million to provide equipment for a military communications satellite. "I think Galileo is a stupid idea that primarily serves French interests." "…waste of EU taxpayers’ money…"
That was in October, 2009. They were awarded the contract about a year ago (January, 2010). They’re doing a fine job in Europe. Galileo was to cost $4.5 billion, but now approaches $26 billion. Outstanding. Glad SES is "contributing" to this fine system. Perhaps the honesty by-product of the whole Wikileaks thing is good for business. Sometime around 2025, the two craft will fall silent. In 40,000 years, Voyager 1 will sail as Earth’s ambassador among the stars of the constellation Camelopardalis — the Giraffe — in the northern sky. 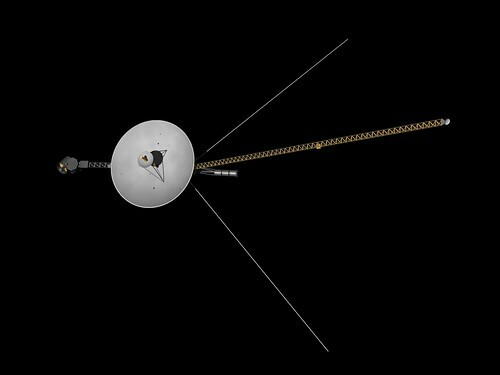 Voyager 2 is headed for Sirius, the brightest star in the sky. It should arrive in 296,000 years. Satellite operators have dreamed of refueling their nearly end-of-life spacecraft for years, especially once they’ve experienced the positive cash flows from fully-depreciated, fully-booked spacecraft. Universally, a straight-line depreciation is used and based on the spacecraft’s design life, typically 15 years. With modern missions projected to operate up to 23 years, a CFO’s eyes pop in positive amazement. Now, imagine extending the spacecraft service life for another ten years via in-orbit refueling. In a presentation here to the World Space Risk Forum, Duffield said the company has spent some $3 billion over the years on robotics, with a quarter of that investment applicable to in-orbit servicing missions. As explained by Duffield, the refueling vehicle would dock at the target satellite’s apogee-kick motor, peel off a section of the craft’s thermal protection blanket, connect to a fuel-pressure line and deliver the propellant. MDA officials estimate the docking maneuver would take the communications satellite out of service for about 20 minutes. The business model, which is still evolving, could ask customers to pay per kilogram of fuel successfully added to their satellite, with the per-kilogram price being a function of the additional revenue the operator can expect to generate from the spacecraft’s extended operational life, Duffield said. The servicing robot would have an in-orbit life of about five years, and would carry enough fuel to perform 10 or 11 satellite-refueling or orbital-cleanup missions. Duffield declined to disclose the approximate cost of the mission. ViviSat’s Mission Extension Vehicle (MEV) is designed to dock with the orbiting satellite, securely latch on to it, and serve as a back-up propulsion system. This enables a mission extension for satellites which have run out of maneuvering fuel yet still have plenty of electrical power to operate their payloads. 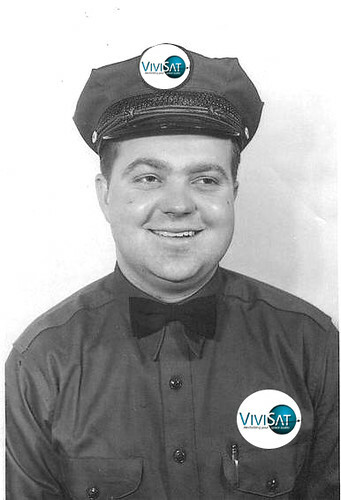 ViviSat services include rendezvous and docking without interruption of satellite operation, long-term station-keeping and attitude control, relocation to different orbits or orbital slots, de-orbiting, and rescue and re-orbiting of satellites stranded in incorrect orbital slots. The people running the business are very good at what they do and have a refreshing, old-school approach to delighting their customers. Technically, it’s an immensely complicated business model, but I think they can get it done. Remember the gasoline service stations from way back? Clean your windshield, check your oil? Absolutely! LightSquared wireless network plan could interfere with systems such as Defense Department communications according to a U.S. agency that manages federal use of airwaves. A radical new US military drone aircraft, able to fly for days in the stratosphere while providing satellite-like communications, completes test flight on hydrogen fuel. As recovered "Zombie satellite" Galaxy 15 undergoes tests and company officials consider placing it back into service, investigators now blame a build-up of static electricity for the failure. GMV Space Systems is selected as part of General Dynamics team to modernize NASA’s TDRS satellite constellation’s ground system. T-Hrvatski Telekom (T-HT) Selects Eutelsat’s 16 Degrees East Neighbourhood to Roll-out MAXtv Pay-TV Platform to Viewers Across Croatia. Sun Direct leases two additional Measat-3 Ku-band transponders. Lines of communication between the U.S. Government and the commercial satellite communications industry deteriorate, contrary to spirit of the National Space Policy. Eutelsat’s KASAT satellite successfully on station at 9 degrees East and undergoing in-orbit tests. Iran plans to put into orbit a new domestically manufactured satellite named Fajr (Dawn) in the current Iranian calendar year, which will end on March 20 this year. Russia to launch oceanography satellite in March to keep track of vast amount of data to improve weather, climate, and ocean forecasts. SES WORLD SKIES U.S. Government Solutions wins two new contract vehicles through the FCSA that broaden government access to the company’s global satellite bandwidth and services. Intelsat S.A. borrows $3.75 billion from a consortium of banks and securities in an effort to reorganize its assets and simplify operations. U.S. Space LLC and ATK announce creation of ViviSat, a new satellite life extension venture whose services can add several years to revenue-producing life of a satellite. Shocking disaster images dominating news bulletins and major global sporting events combine to create an unprecedented demand for live transmissions from Australia to the World in early 2011. Space Tourism Company to Sell Three Russian Soyuz Seats to International Space Station. Mayflower Communications is awarded patent for "Antijam Filter system and Method for high Fidelity High Data Rate Wireless Communication" that can filter out interfering signals. Hughes HX broadband satellite system enables remote monitoring of forest fires in Russia. Thrane & Thrane’s Aviator 200 Wi-Fi Service Certified for Cessna Aircraft. British earth station at Goonhilly, once the world’s largest, whose satellite communications operation shut down in 2006, to be refurbished and used for space radio telescopes. Morgan Stanley analysts expect the satellite industry’s strong 2010 overall performance to continue in 2011. Spirit Wireless of Portland, OR, provides critical satellite communications devices for hunters. Frequency Electronics, Inc. is awarded a follow-on contract of approximately $12 million for a U.S. Government high capacity, secure communications satellite program. Avanti established as credible operator in broadband satellite communications as growth is forecast to be substantial, and it moves forward with HYLAS-2 and HYLAS-03. Orbital-Built Glory Earth Science Satellite Arrives at Vandenberg Air Force Base Launch Site. Key elements of Ariane 5 launcher arrive in Korou as preparations go forward for its second launch of 2011, to carry the Yahsat 1A and Intelsat New Dawn satellites into orbit. iDirect Government Technologies forges partnership with Integral Systems in order to help the U.S. Coast Guard modernize its large cutter fleet. Central & Eastern European Video Markets Continue Strong Gains. 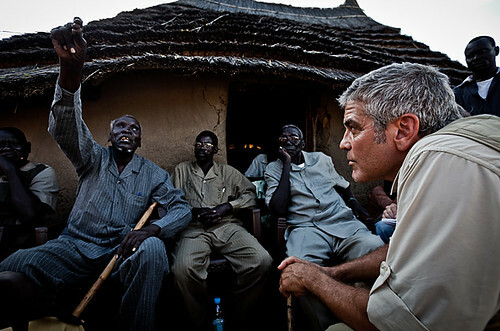 Clooney-sponsored Satellite Sentinel Project to monitor election proceedings in volatile Sudan. New Israeli military technology speeds up warfare, harnessing digital and satellite technology to enable response to battlefield changes in seconds. Surrey Satellite Technology Ltd. wins contract from the European Space Agency to provide spectrometer as part on instrumentation for Sentinel 5 Precursor atmospheric monitoring mission. GeoEye wins contact from Republic of the Maldives for vessel monitoring system for fisheries management and safety. Colorado Springs military contractor Infinity Systems Engineering wins $17.4M 5 1/2 year contract from Air Force Space Command for communications and engineering support on three military communications satellite systems. EchoStar Advance Technologies acquires Utah-based Moved Networks, a technology innovator delivering advanced solutions for large scale streaming of quality video on the internet. Newcom International of Miami is ranked fourth fastest growing teleport in the world for 2010 by the World Teleport Association. ARTEL wins first contract award for satellite services under the new $5B General Services Administration and Defense Information Services Agency joint-contract vehicle. Spot Connect lets Bluetooth phones communicate with satellites. Comtech wins $27.2M order to provide satellite communications equipment to U.S. Army. Shares of Gilat Satellite Networks surge after contracts with Colombia’s Ministry of Information Technology and Communications are extended. Albania’s DigitAlb pay-TV platform extends to 2020 its satellite capacity at Eutelsat’s 16 degrees East neighborhood. Iridium’s Direct Internet software package makes it easier and faster to connect to the Internet using the 9555 and 9505A satellite phones. RapidEye signs partnership agreement with NiK Insaat Ticaret of Turkey to add the company to its distributor team in Turkey. ISRO plans to launch at least two large communications satellites this year to mitigate shortage of transponders due to failure of two consecutive GSLV missions. Integral Systems Inc. wins $10M five-year IDIQ contract to modernize U.S. Coast Guard’s satellite communications for its large cutters. DTH and the drive towards Hybrid – even though terrestrial networks seem to be the more logical source, there is not dearth of satellite-enabled solutions. GlobaLogix acquires Blast Energy Services satellite division, adding fully integrated satellite services to its comprehensive suite of services supporting recovery and analysis of data for its energy industry customers. Lubbock County Texas plans to integrate Spacenet’s satellite equipment and services into its mobile command vehicle that is used across state to maintain data, voice, and video communications during emergency situations. Lockheed Martin Space Systems wins sole source contract from NASA for Systems Engineering for In-Space Servicing. Thales Alenia Space signs contract with French space agency CNES to produce Surface Waves Investigation and Monitoring instrument for teh China France Oceanography Satellite. Voice of Russia reports plans for about 50 space launches from three launching pads and 10 combat training and test launches of intercontinental ballistic missiles in 2011. Globecomm Systems wins $7.3M managed services contract from a Government prime contractor. Blue Marble Network announces new Maritime VSAT service for Asia Pacific market. Perla Group International procures $4.5M of satellite and teleport infrastructure and plans to build world class teleport in the Mediterranean, likely in Cyprus. Intelsat plans to immobilize "Zombiesat" Galaxy 15 following communications shutdown and equipment reset caused by loss of power – considers moving it to one of Intelsat’s orbital slots and fully testing the satellite’s communications capabilities. Indian developer Tripura launches Geo-Spatial 3D satellite-based imagery system to track terrorists and curb crime. Failure of India’s Geosynchronous Satellite Launch Vehicle on December 25 caused by snapped connectors. Orbital-built KOREASAT-6 launched from European space center in French Guiana. Charles Ergen of Echostar and Dish Network accumulates debt of bankrupt satellite operators TerreStar Networks and DBSD North America in challenge to Harbinger Capital, pursuing broadband spectrum owned by the bankrupt companies. ILS to launch Satmex 8 in 2012. ImageSat settles spy satellite dispute with Serbia. India’s NRSC plans to launch 30 satellites by 2020. Turkey’s test satellite 3USAT debut set for September 2011. Satellite optimization enhances service delivery in a 4G world. Upcoming NSR webinar – The Satellite Industry Year in Review . . . and a Look Ahead to 2011. SM-3 Launches from JS Kirishima (DDg 174) in October, 2010.